Charity Navigator is the nation's largest and most-utilized evaluator of charities. With data on over 1.8 million US-based nonprofits and ratings for close to 10,000, Charity Navigator guides over 11 million individuals across the country to make informed giving decisions. Especially in times of crisis, donors use Charity Navigator to discover efficient charities worth supporting. A year after Charity Navigator published the Hurricane Harvey 'Hot Topic' featuring over fifty-five 3- and 4-star rated organizations, this study has been put together with help from 32 of the organizations and several other groups to provide an update on the work done, the work continuing to be done, and the current needs of communities affected. Of these 32, twenty-five represent national or international nonprofits, and seven represent local nonprofits. Additionally, these organizations display a wide spread of mission through the diversity of their cause areas. 8 are Development & Relief Services; 7 are Humanitarian Relief Supplies; 6 are Multipurpose Human Service Organizations; 2 are Animal Rights, Welfare, & Services; 2 are Youth Education Programs & Services; 2 are Food Banks, Food Pantries, & Food Distribution; and there is 1 of each of the following: Diseases, Disorders, & Disciplines; Social Services; Early Childhood Programs & Services; Jewish Federations; Homeless Services. 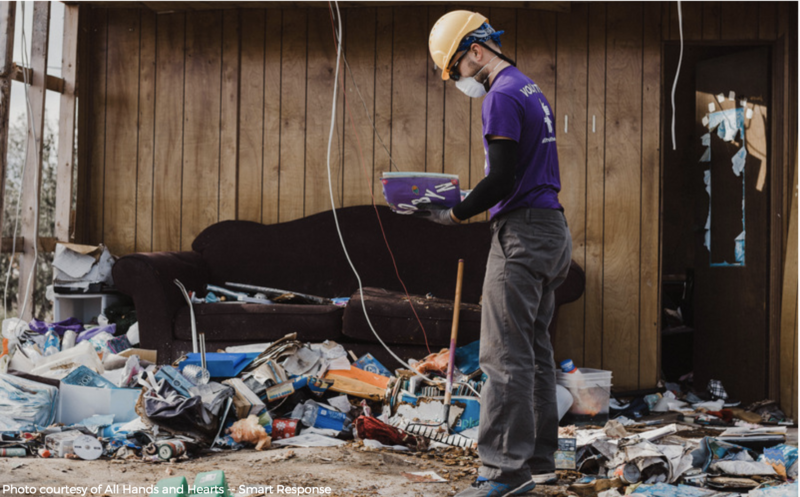 Each organization participating in this study answered over forty in-depth questions prepared by Charity Navigator about specific intricacies of the charity's work in the aftermath of Hurricane Harvey. The figures on the following pages are aggregated results reported by the 32 nonprofits.